But Gillum raises issue with the lack of forum in Jacksonville. 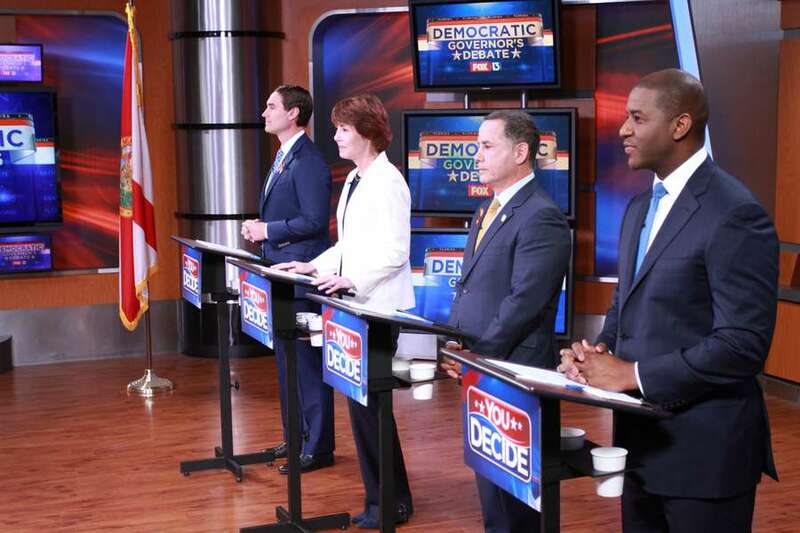 The Democratic candidates for governor will debate four more times before the August primary, including a June showdown in St. Petersburg. It's the second debate in the Tampa Bay area, as the four candidates already met on the same stage in Tampa this month. The debate schedule is as follows: June 9 in St. Petersburg; June 11 in Miramar; July 8 in Ft. Meyers; and August 2 in Miami. That means none of the remaining debates will take place in central Florida, the panhandle or Jacksonville, a point about which Tallahassee Mayor Andrew Gillum raised concerns. "What are (Rep.) Gwen Graham and (former Miami Beach mayor) Phil Levine afraid of in Jacksonville?" Gillum spokesman Geoff Burgan said. "From (northwest Florida utility provider) JEA, to important criminal justice issues, to Duval County public schools, Jacksonville's residents want to know where their next Governor stands, and they deserve to hear from us in a debate." Levine spokesman Christian Ulvert said the debates announced by the state Democratic Party are "leading the way on having an inclusive and engaging debate and forum schedule that ensures voters get to hear from candidates directly." 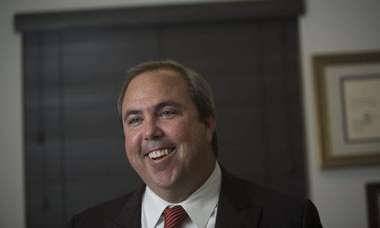 Orlando businessman Chris King is expected to participate in the debates as well. 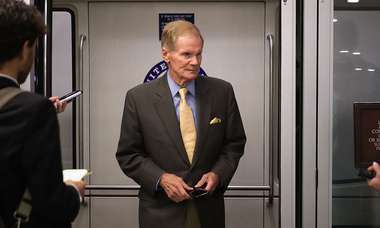 Meanwhile, the two declared Republican candidates for governor were supposed to meet Monday in West Palm Beach, but there has been a change in plans. Agriculture Commissioner Adam Putnam will appear at the Forum Club of the Palm Beaches as scheduled, however Rep. Ron DeSantis backed out. According to organizers, there was an "unexpected change in his schedule." 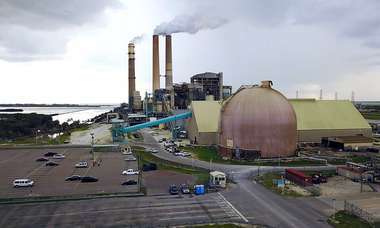 READ MORE: Adam Putnam goes hyper-local. Is this any way to win the Florida governor's race? House Speaker Richard Corcoran is also expected to join the GOP field but so far has not declared his candidacy. UPDATE: The Levine campaign responded to Gillum's accusation that their candidate is ducking a Jacksonville debate. "It's sad that the Gillum campaign would be disingenuous and misleading in their accounts of our debate negotiations," Ulvert said. "As the (Florida Democratic Party) noted, unlike the Republican field of candidates who are playing duck and cover, Democrats have accepted a number of debates and forums. We even accepted doing a Panhandle debate—one the Gillum campaign outright rejected. Our campaign has been in communication with Jacksonville University regarding their debate request, but given the stunt pulled this morning, it makes it harder to proceed in good faith."